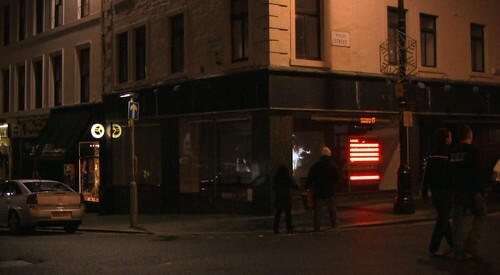 Expected Arrival Time was an installation in Dundee, as part of the Winter Light Night event. This piece came together surprisingly quickly, thanks to the support of John Gray from the Dundee City Council and Donna Holford-Lovell from Abertay University Cultural Projects, and an incredible amount of help and hard work from Ken Rusk from Abertay. For Expected Arrival Time, a series of disused LED bus shelter signs from the city of Dundee were built into a large array of nearly two meters tall, and I made a system for controlling their flashing based on sound. 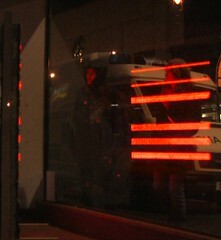 The whole structure was placed in an empty shop front in downtown Dundee, with a microphone hanging from a window above the sidewalk. 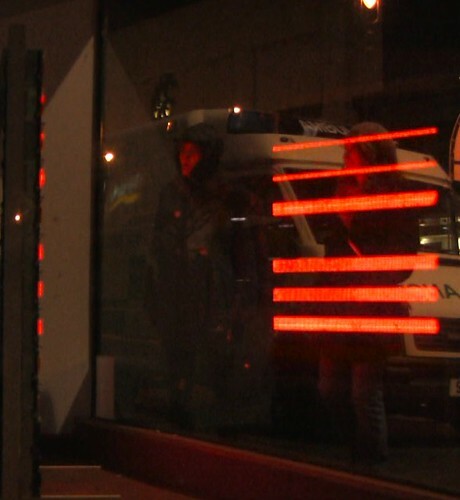 The microphone picked up the ambient sound of the street and sent that to the bus signs, which flashed in different ways in response to the sound. Watch the video to see it in action.